Only couple more days to go for this year’s Bundesliga tournament in Innsbruck. The girls are sorting out what is still to be done and at the same time training like crazy to be able to show their best before the home crowd. 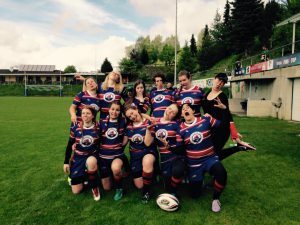 As you may have read before, making this tournament happen wasn’t the easiest task, a lot of doors were shut in our faces after mentioning we would need a field for a rugby tournament. We are so happy that this tournament will take place and we get to spread the rugby spirit in Tirol. The tournament will be held in Ragg Platz in Hall (Obere Lend 45) this Saturday 20.05. Kick-off time will be 11:30am and the tournament will last until the late afternoon. The schedule will be published in coming days in Facebook, so attend the event to get some updates. We would like to warmly welcome our friends, families, friends of rugby – old and new – as well as all those who haven’t yet given rugby a chance. 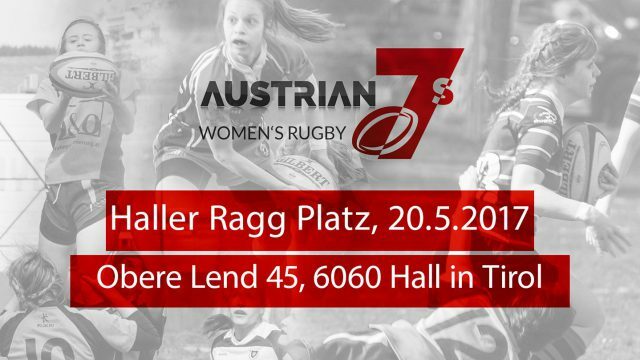 Come and enjoy the day with rugby players from all over Austria (oh we also have international players!) and see what rugby 7s is all about. Put aside your prejudices, gather your friends, fill your pockets with some coins (rumor says that there will be some home made cakes and pastries) and head to Hall! We are looking forward to seeing you there! If you can’t make it you can still come and grab a beer with us in the evening. The official home tournament after party will take place at 8pm in Galway Bay Irish Pub. The party will be held downstairs and there will be drink special all night. We are so excited! Come and enjoy the day with us. We want to already thank everyone who has help us so far to make this tournament day possible. Let’s do this!